World Peace Poets is always planning great community projects. Visit their Facebook page for dates. Original Art by Peace Sister Carol McMillan is the inspiration for the “Peace Poems, vol 1” Book Cover. 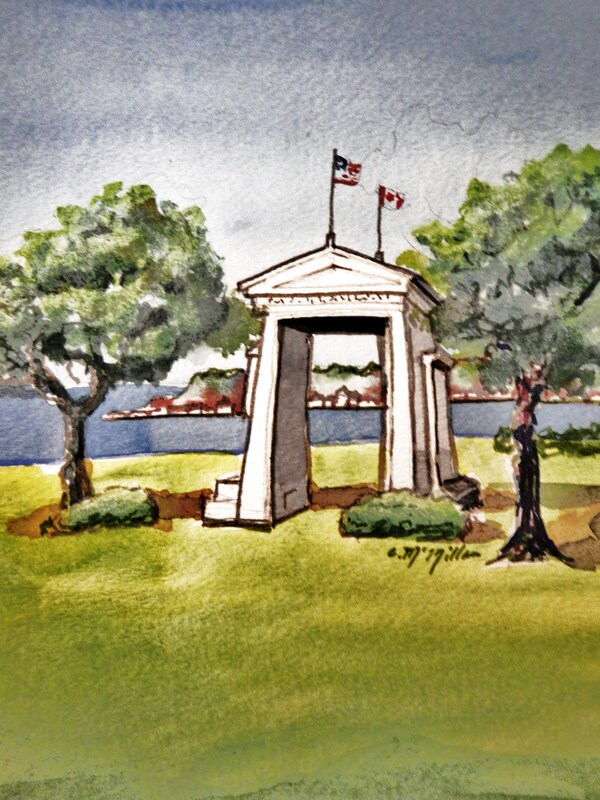 It is a watercolor of the Peace Arch that graces the Canadian / American border at the I-5 crossing joining British Columbia and Washington State. Book description: World Peace Poets gathered poets together in the falls of 2013 and 2014 for a peace read-in as part of a worldwide Poetathon initiated by World Poetry Canada. Poets came from British Columbia, Seattle, Bellingham and beyond to speak up on peace for the world, each other and within. This collection of writing reflects the many voices that opened our hearts and minds to the challenges of war and antagonisms. These poems release an understanding of peace that is deep within us. Lawrence Ferlinghetti suggests, “Poetry is a quiver on the skin of eternity.” Reading the words and rhythms of peace gathered here, we feel our skin prickle in the unrelenting movement toward quietude, mutual regard, and hope of a peaceful future for all of us. Love the new look, Shannon! I’m definitely interested in participating in the World Peace readings. Thank you.